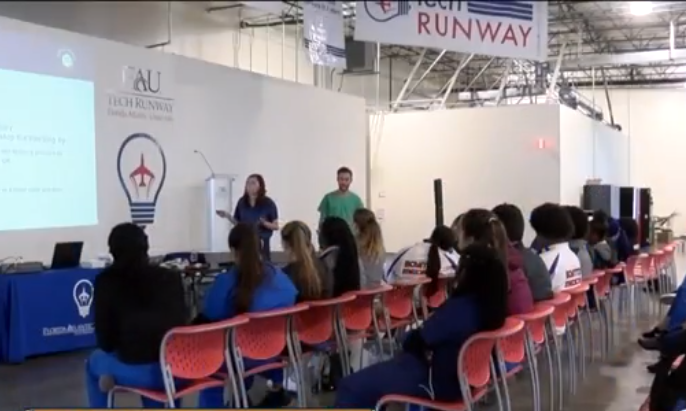 Future medical students got to participate in hands-on training with FAU medical students on Friday. High school students from around the area are a part of the Healthcare Careers Outreach Program. BOCA RATON, Fla.-- Future medical students got to participate in hands-on training with FAU medical students on Friday. High school students from around the area are a part of the Healthcare Careers Outreach Program. Boynton Beach High School senior Sarah VanRoekel said the trauma training she learned was great for her. “This is really specific to what I want to do,” she said. Students went through stations and then witnessed a mock car crash. FAU’s HCOP connects high school students with medical students. “By coming out here and bringing medical students to work with high school students, hopefully, we can help them move past the mistakes we made and get right to their dreams,” said FAU student leader Vishnum Apala. FAU said it hosts about two dozen other clinics throughout the year.